To remove a location alert you have set for your Hum equipped vehicle, view this info. From the Alerts section of the HUM Dashboard (to the right of the map), click the Boundary tab. Click the Edit icon located to the right of the boundary alert to be deleted. 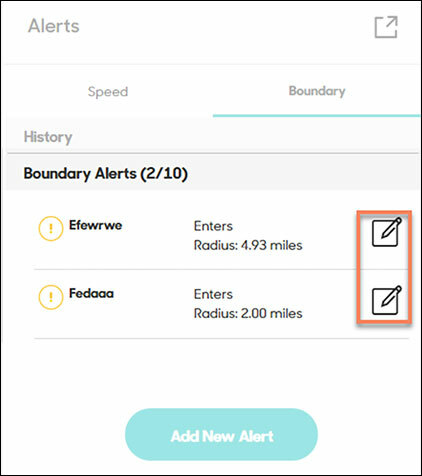 Scroll to the bottom of the Boundary alert then click Delete.